20 years of experience in Modiin. Full service (in English and French as well), with consulting and guidance until the moment you receive / hand over your key. Largest database of apartments and houses in the city! 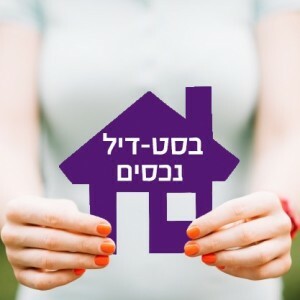 Best Deal Nechasim real estate agency, owned by Iris Cohen, was founded in Modiin in 1998. The agency specializes in the sale of apartments and second hand homes in Modiin and the surrounding communities, with an emphasis on high standards of work, reliability, dedicated service and professionalism. A real estate transaction is one of the largest and most important transactions that a person makes during their lifetime, and, for that reason, it requires a great deal of skill, professionalism and experience in order to get the best deal and the most convenient terms for you. Service in Hebrew, English and French. Call now for an initial phone consultation!